Michelle FrankfurterRiding the ‘Train of Death’ is dangerous. The migrant caravan that trekked through the Northern Triangle and reached Mexico this weekend has swelled to an estimated 7,000 people, and is largely heading to the United States. 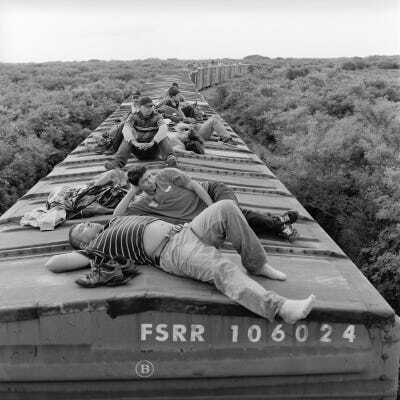 Most Central American immigrants that try to enter the US undocumented travel along the same dangerous route, known as El Tren de la Muerte (“The Train of Death”). 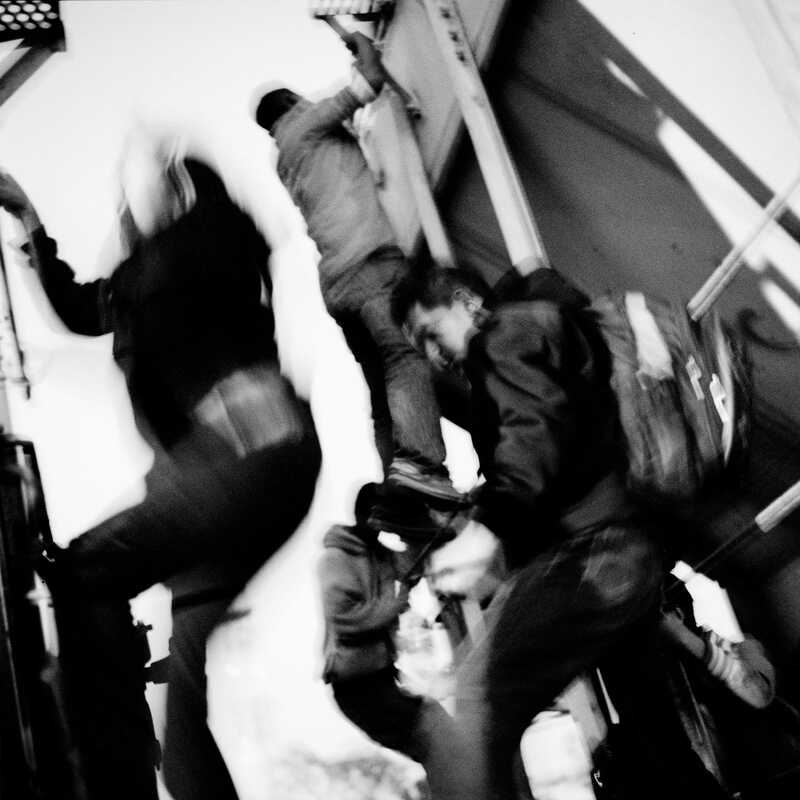 Photographer Michelle Frankfurter spent years documenting immigrants travelling along the route. Earlier this month, a caravan of 160 migrants set out from Honduras, telling media outlets that they were fleeing their homes due to widespread poverty and violence. By this past weekend, the caravan had swelled to an estimated 7,000 people. Most are heading for the United States’ southern border. They aren’t the first Central American migrants to chart that path. Approximately 400,000 migrants made the journey in 2016, with most hailing from Honduras, El Salvador, or Guatemala. Most looking to enter the US undocumented follow the same route north. 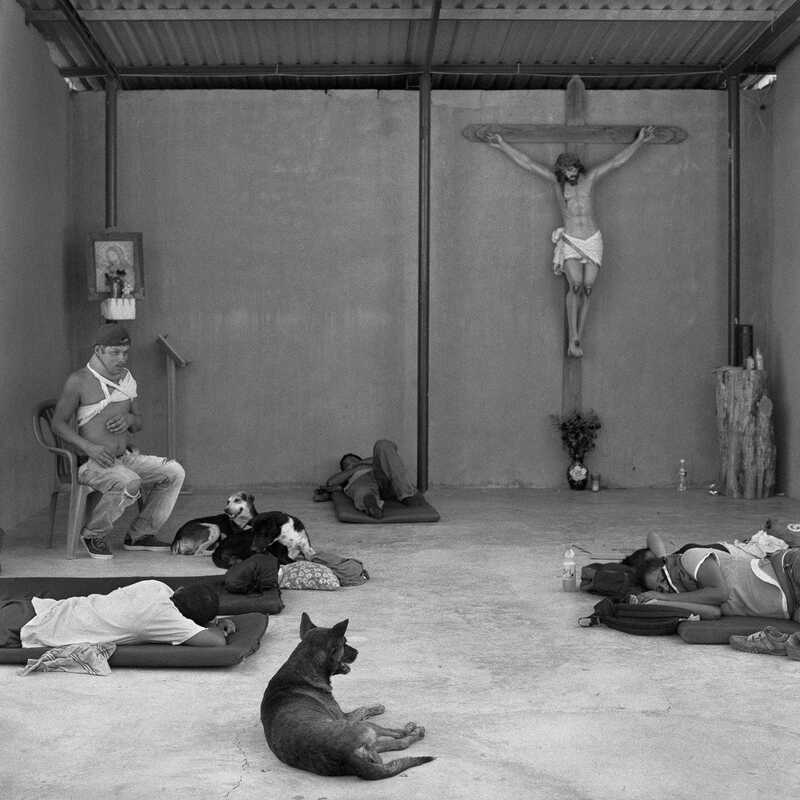 In 2009, Michelle Frankfurter, a photojournalist and human rights worker who had spent years travelling in Mexico and Central America, set out to follow the route. Following the path described in Sonia Nazario’s award-winning book “Enrique’s Journey,”Frankfurter headed to southern Mexico and followed the path north. In six journeys, she rode the treacherous El Tren de la Muerte (“The Train of Death”), came into contact with drug cartels, and befriended numerous migrant families, many of whom never made it to the US. Frankfurter has shared some of her photos with us here, but you can check out the rest at her website or in her book “Destino,” available now. 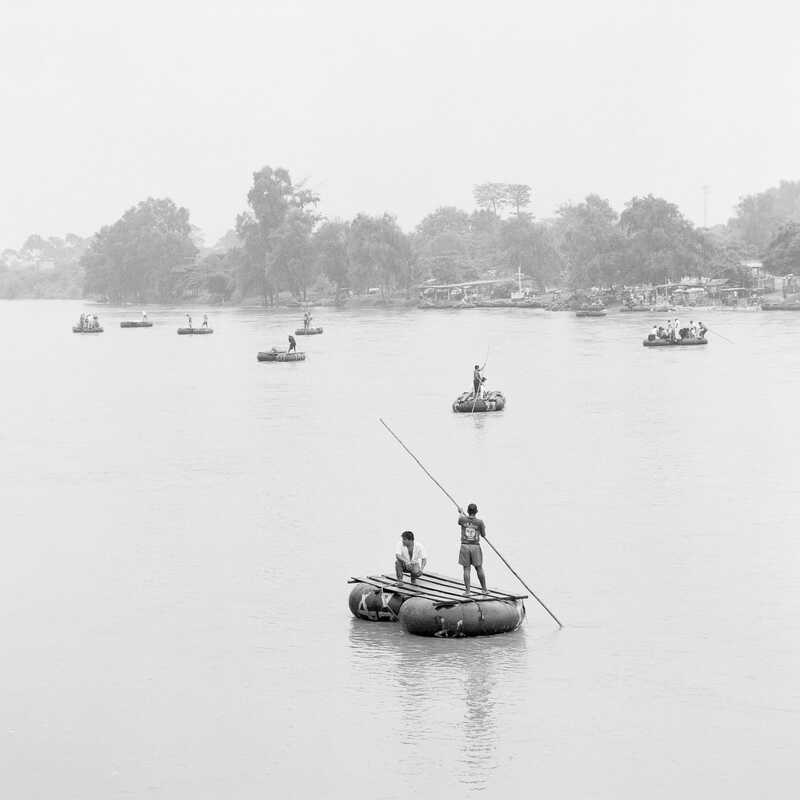 The first step of the journey is crossing the Suchiate River on rafts made of tractor tires. The river carries migrants between the Guatemalan border town of Tecún Umán and the Mexican town of Hidalgo in the southern state of Chiapas. After crossing the river, migrants hike 150 miles on foot to avoid Mexican migration checkpoints and reach Arriaga, a city in Chiapas. Here, a Salvadoran woman feeds her 18-month-old son at a migrant shelter in Chiapas after making the trek. Frankfurter began the most significant part of her journey in Arriaga. Here, most migrants catch a freight train illegally to start their trek north. Frankfurter visited migrant shelters along the route to make friends with those working or staying there. After several trips, she was well known at the shelters. This makeshift chapel in the small town of Ixtepec in Oaxaca was one of the many shelters she visited. 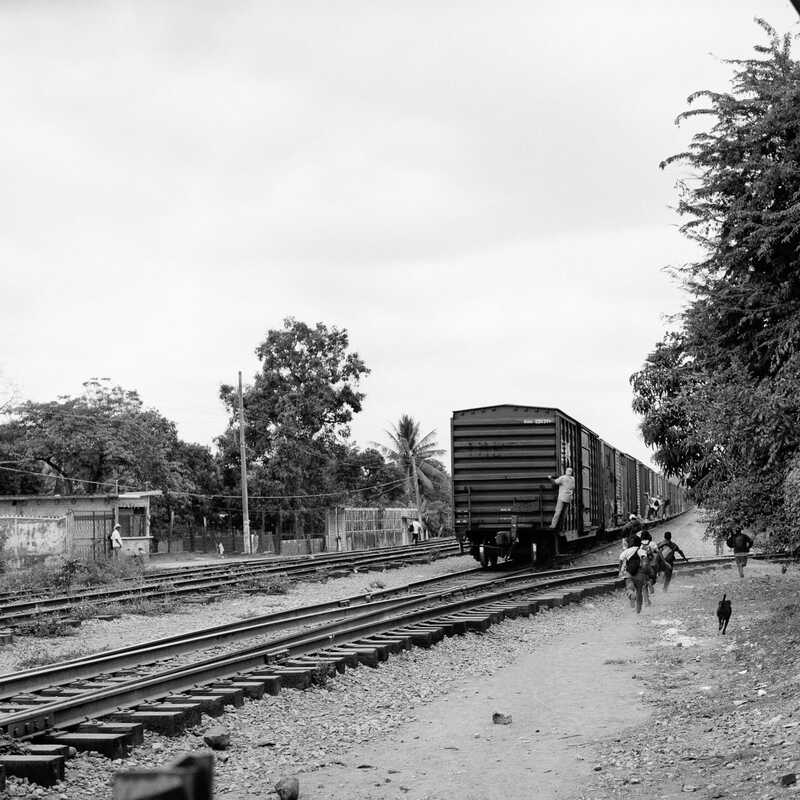 Most of the journey takes place along freight-train lines. Migrants must ride 10 to 15 different freight trains to make the journey to the US. The first leg is a 13-hour ride from Arriaga, Chiapas, to Ixtepec, Oaxaca. 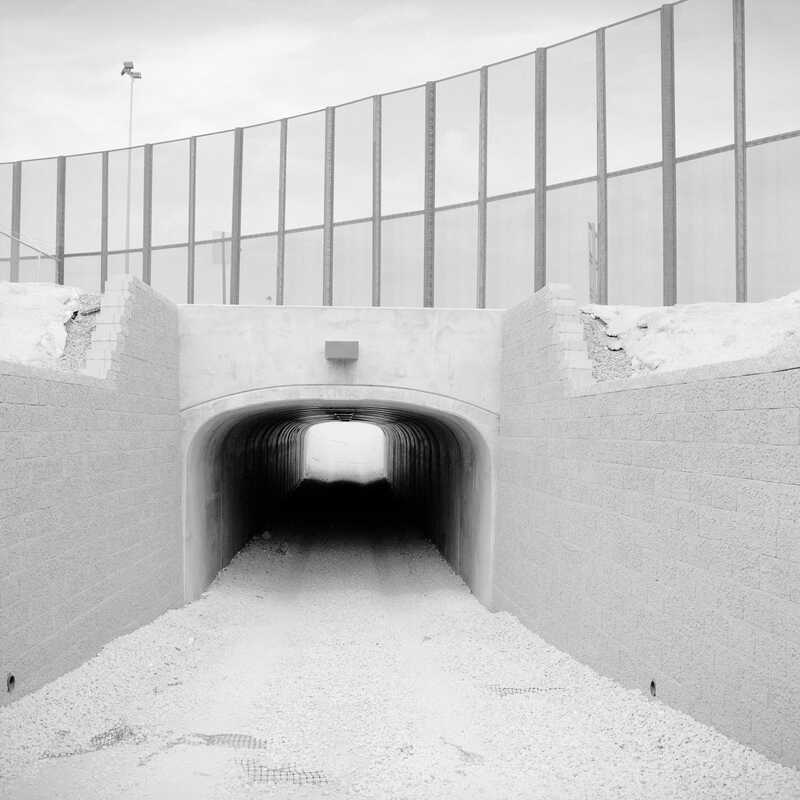 The trains are referred to as La Bestia (“The Beast”) and El Tren de la Muerte (“The Train of Death”) by the migrants because they are so dangerous to ride. 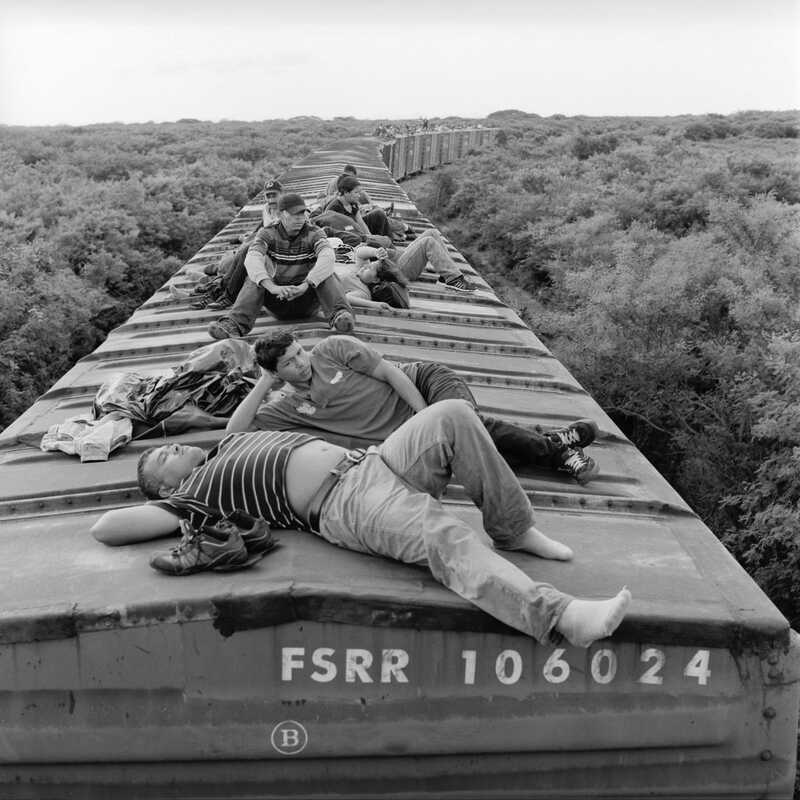 Here, migrants ride the train through Oaxaca. Many fall off the train to their deaths or suffer injuries that prevent them from travelling further. This Honduran man, who was injured riding the train, had to have his left arm amputated. Frankfurter met him at the Jesús el Buen Pastor amputee clinic in Tapachula, a city in Chiapas. Approximately 400,000 migrants made the journey northward in 2016. Most hail from El Salvador, Honduras, or Guatemala. They leave in search of better jobs or a safer life. 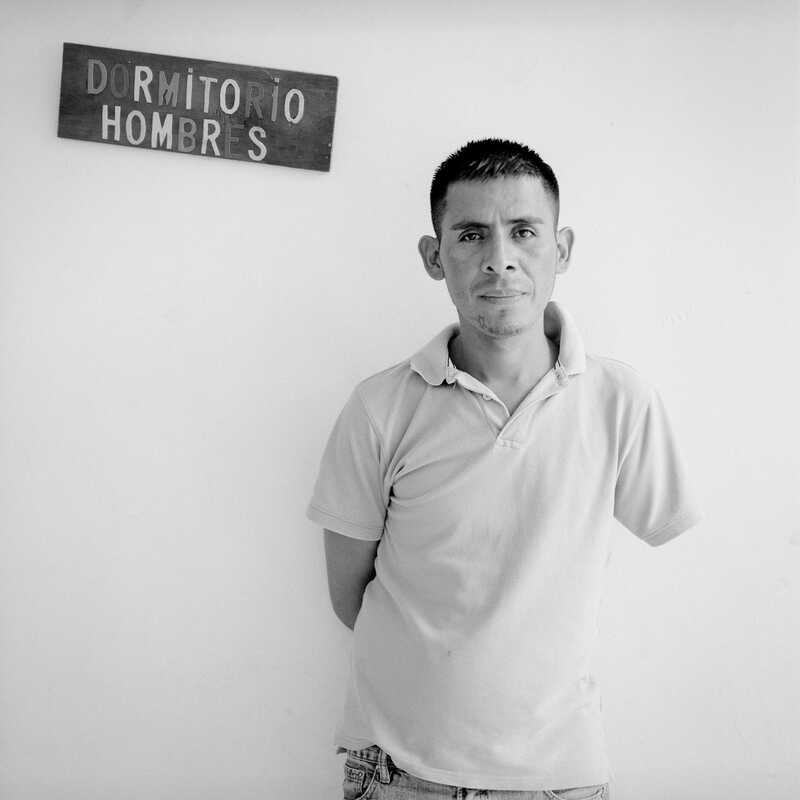 Frankfurter met this Honduran man in the Casa Cáritas migrant shelter in the central Mexican state of San Luis Potosí. 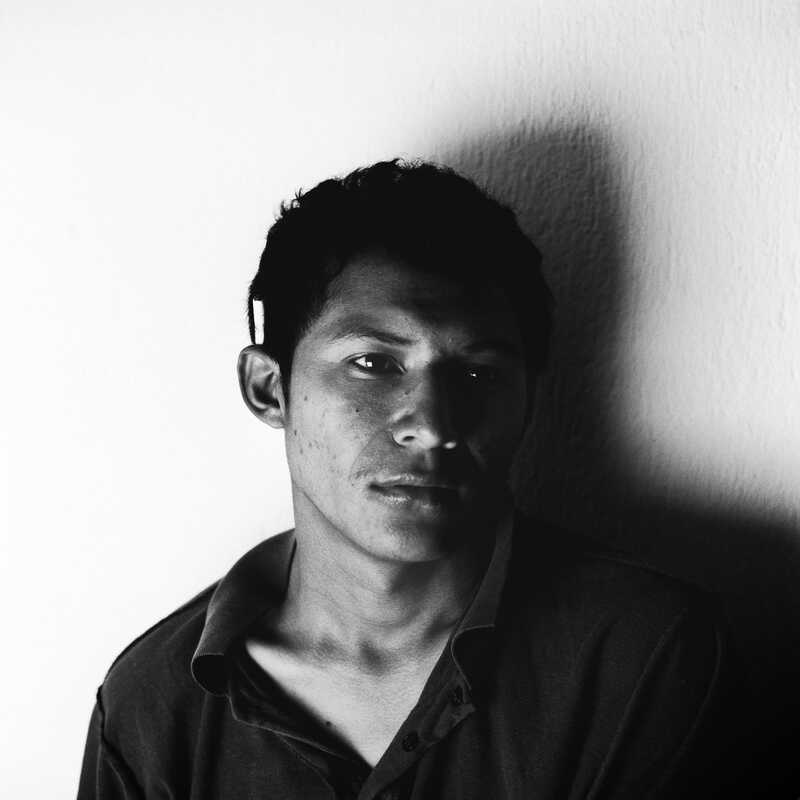 While some leave looking for work, others are fleeing domestic or gang-related violence. 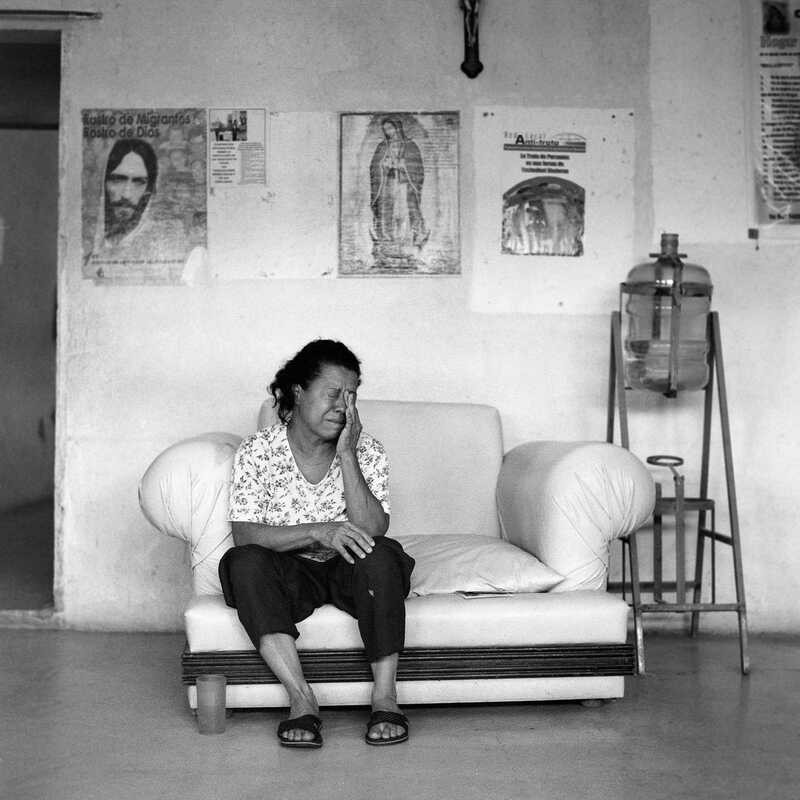 This Guatemalan woman was fleeing an abusive husband with her two small children, a sister, and a male relative. Frankfurter met them in Arriaga. To make the trip north, migrants must pass through numerous areas dominated by Los Zetas, one of the most dangerous cartels in Mexico. 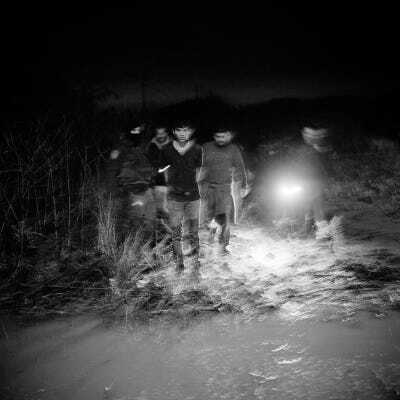 In recent years, the cartel has established a profitable racket by kidnapping migrants. Here, migrants chase after a train in Veracruz, a Zetas hotspot. 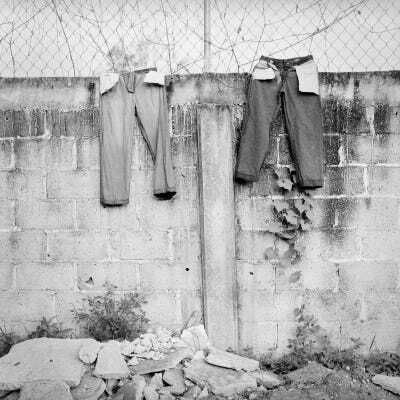 One of the most dangerous places in Veracruz is the city of Orizaba, where there is no migrant shelter. 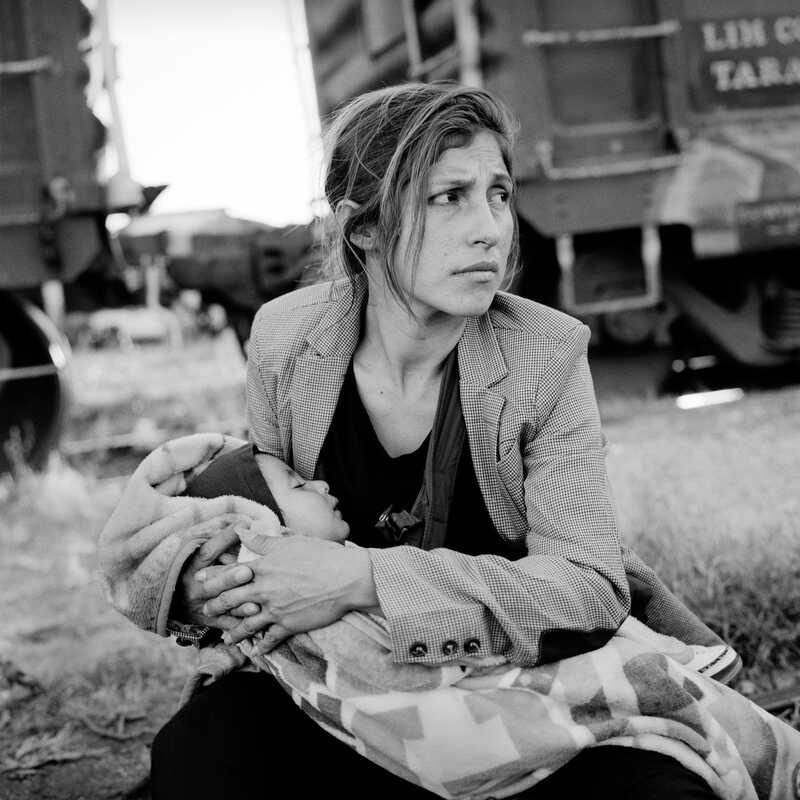 Migrants wait by the tracks for days to catch moving freight trains. If they miss one, they could be kidnapped by the cartels. During each trip, Frankfurter befriended a family or group and tagged along on their journey north. Many told her that they felt safer because she was an American. Sometimes, she would see the same family on more than one trip. During one trip, she followed a family for the first half of their journey before she returned to the US. When she came back six months later, she found them in the same place. The family had been caught by Mexican police, deported to El Salvador, and then made the journey again toward Mexico City. The journey over the US border is the most dangerous part of the journey. Smugglers, called coyotes, are paid to sneak migrants past border security into the US. Because of the danger, many migrants opt to settle in Mexico. Despite the gang and drug violence, there is a thriving economy in which they can get jobs. 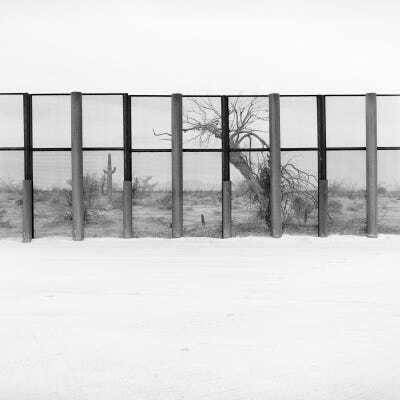 In recent years, security has been heightened on the US side of the 3,000-mile-long border. This is a tunnel used by US Border Patrol along the Arizona-Sonora border between the US and Mexico. The heightened security has made the journey even more treacherous for travellers. In response, coyotes bring migrants along more isolated and more dangerous routes to get them across. Since Frankfurter began in 2009, migration has gotten more dangerous. As the pressure on the drug trade has increased, cartels have diversified by taking over the smuggling trade. It has turned migration into a brutal endeavour. Michelle FrankfurterThis migrant shelter called La 72 Refugio Para Personas Migrantes is a reference to the 72 migrants massacred near the border by Los Zetas in 2010. The closer Frankfurter got to the border, the more dangerous things became. While at a “staging area,” where smugglers prepare for the last leg of the journey, a man told her she had to leave. “They were being polite, but we knew they wouldn’t ask us again. We had to leave,” Frankfurter told Business Insider.